Euro-Mediterranean region. It is organized by the Editorial Board of Euro-Mediterranean Journal for Environmental Integration (EMJEI) in collaboration with Springer. All accepted (short) papers will be published in the conference proceedings by Springer. Registeredauthor of each accepted paper will receive the "Springer Certificate of Participation" certifying that the paper is accepted for publication in the conference proceedings and also for presentation as an oral communication during the conference. The scientific committee will provide awards for the best 10 papers from each topic covered by the conference (see Topics). The winning authors will receive the "Springer Award for Outstanding Paper," a gift voucher for the amount of 300 euros which can be used to purchase books on SpringerLink, and also a Springer bag personalized with EMCEI-2017 logo and an advertising message “Winner of the best conference paper at EMCEI–2017.” All winners will be presented with a commemorative certificate and recognition during the awards luncheon (Day 3 in the Conference Program). The aim of the conference is to publish a high-quality topical collection (special issue) on crosscutting themes of environmental sciences and engineering in Euro-Mediterranean Journal for Environmental Integration. 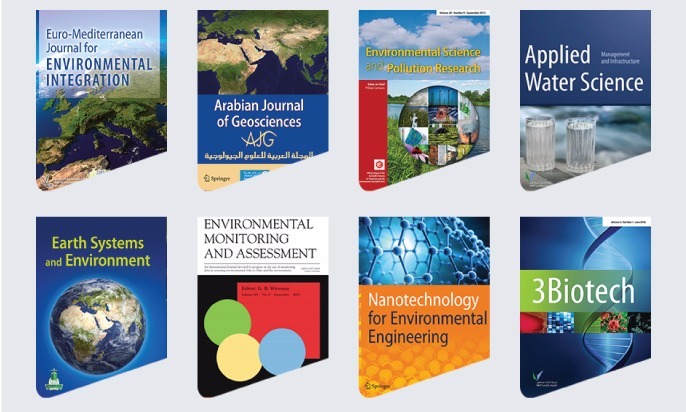 Some selected high-quality papers will be also submitted after the conference for publication in topical collections of the following Springer journals (more journal titles will be announced soon). All papers will be peer-reviewed before final acceptance for publication. Authors of the accepted papers will receive a "Springer Acceptance Certificate" after publication of the special issues.